Dads, you can pretend that you are buying this little beauty for your child or you can save the charade and keep it for yourself. The Boattail Racer by the Auditorium Toy Co. is handcrafted and only one hundred of these cars have been produced. 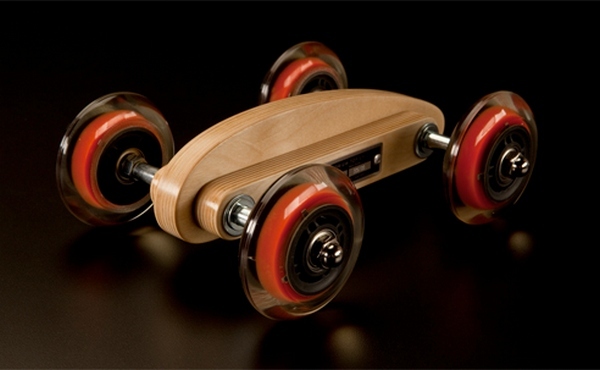 There are lots of technical specifications to impress – wooden bodywork sculpted from thirteen-ply Baltic birch, carnelian-core industrial grade wheels, precision bearings and solid stainless steel axles and fasteners. Then there is the fact that this ‘toy’ is aesthetically very easy on the eye – the sleek lines just beg you to give it a spin. The Boattail Racer falls into the ‘special occasion toy’ category. My experience of these kinds of toys is this – when you are the parent, these special toys are for looking at but not playing with. When you are a grandparent, the kids get free reign. So whether you are buying this car for now or for future generations, enjoy. 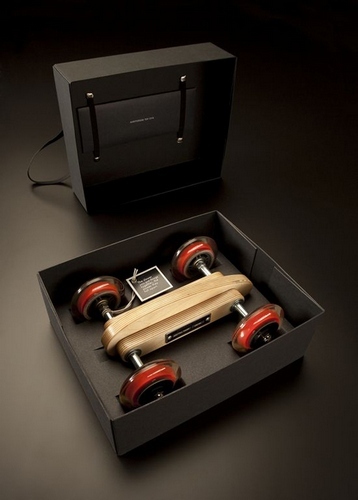 The Boattail Racer, priced at US$350, is available directly from the Auditorium Toy Co. who do ship internationally.